Nike Inc. continues in its growth path as a leading player in the global sports shoes, apparel and equipment market. A Five Forces Analysis of Nike Inc. reveals the most significant forces shaping the company’s strategies. Michael Porter developed the Five Forces Analysis model to understand the effects of external factors on businesses. In Nike’s case, these five forces point to competition as one of the most significant external factors. Founded in 1964, the company manages to retain its leading position in the international industry environment. However, the forces and corresponding external factors enumerated in this Five Forces Analysis must remain among the strategic considerations of Nike Inc.
Nike Inc. enjoys a top position in the global athletic shoes, equipment and apparel market. A Five Forces Analysis, based on Michael Porter’s model, points out that competition, customers and substitutes are the most important external forces in Nike’s industry environment. Recommendations. Nike Inc. must prioritize strategies that address competition, which is highlighted as the strongest force in this Five Forces Analysis. Nonetheless, the bargaining power of customers and the threat of substitutes are also significant. A recommendation is for Nike Inc. to prioritize investment in product development to ensure competitive advantage. Based on this Five Forces Analysis, it is also recommended that Nike Inc. must implement strategies to attract and retain more customers, so as to minimize the effects of substitution in the sports footwear industry environment. The low market growth rate is partly due to firms’ high market penetration and market saturation. This condition creates a strong force, as Nike and other companies compete for a market that grows slowly. In relation, firms are highly aggressive in competing for bigger market shares. Also, there are only a moderate number of firms that significantly impact Nike. Based on this element of the Five Forces Analysis, the external factors that lead to strong competition requires Nike Inc. to focus on market development and product development to ensure competitive advantage and a growing share in the global athletic shoes, apparel and equipment market. The low switching costs make it easy for customers to buy sports shoes other than those from Nike. The moderate availability of substitutes also enables customers to buy other products instead of always buying from Nike. However, the small size of individual customers minimizes their individual forces on the company. These external factors lead to the moderate bargaining power of customers. This element of the Five Forces Analysis shows that the force of customers is a major consideration in Nike’s strategies for the athletic footwear, apparel and equipment market. The high supply minimizes the effects of individual suppliers’ actions on Nike’s business. Similarly, the large population of suppliers reduces the impact of individual suppliers’ demands on large companies like Nike Inc. The moderate size of individual suppliers supports a moderate degree of suppliers’ influence. Nonetheless, this element of the Five Forces Analysis shows that Nike experiences only a weak force representing the bargaining power of suppliers. As such, suppliers are among the least significant concerns determining Nike’s strategies in the sports shoes, equipment and apparel industry environment. 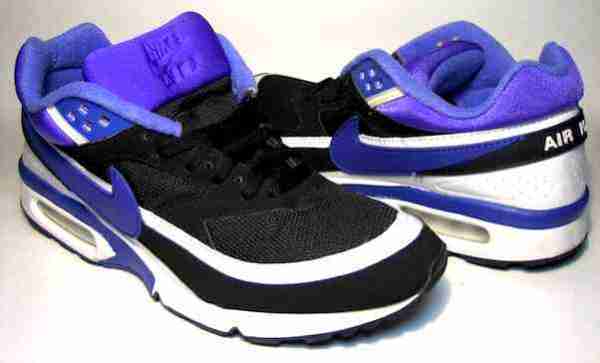 The moderate availability of substitutes imposes a moderate force against Nike, as customers have considerable alternatives to Nike’s products. In relation, customers have a moderate likelihood of considering substitutes because of the moderate performance of substitutes compared to Nike’s sports shoes, apparel and equipment. The low switching costs further add to that likelihood. Nonetheless, this element of the Five Forces Analysis shows that substitutes exert only a moderate force against Nike Inc. The high cost of brand development makes it difficult for new entrants to succeed in competing against large firms like Nike Inc. Also, the high economies of scale provide Nike with a competitive edge against new entrants, considering the company’s global production and distribution network for its athletic shoes, apparel and equipment. The moderate cost of doing business further limits new entrants’ ability to disrupt the industry environment. Based on this element of the Five Forces Analysis, the threat of new entry is a minor concern for Nike Inc.
U.S. Department of Commerce. The Retail Services Industry in the United States.